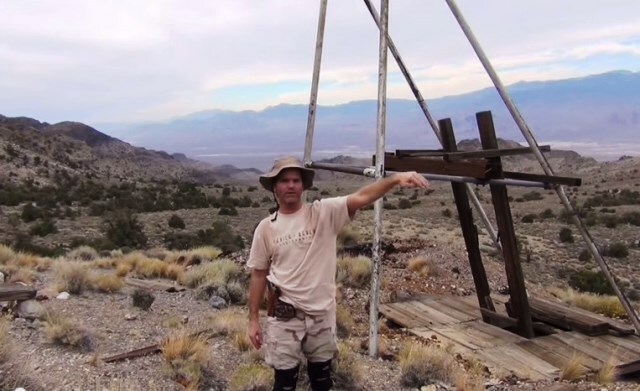 In November of 2014 Kenny Veach, a 47 year-old experienced hiker ventured off into the Nevada desert in search of a strange cave he had spotted during a previous hike near the Nellis Air Force Base. According to a comment he left on YouTube, the cave was odd and had a strange entrance that resembled the letter M. As he approached, he claimed to have felt a strong vibration engulf his entire body. The closer he got the more the vibration intensified. Whatever was inside the cave made him fear for his life. Kenny left and returned days later with proper gear and a gun for safety. That was the last time anyone saw him alive. Kenny’s initial comment on YouTube got others intrigued on the mysterious M cave. They began requesting a follow up exploration on the cave, which Kenny vowed to do as soon as he had the proper gear and protection with him. Here’s a video response that he made shortly before vanishing. It’s in this video that Kenny’s girlfriend decides to leave a comment to the public after not hearing from him since his disappearance. Despite the search efforts provided by friends, family, and the Nevada Red Rock Search and Rescue team there are no signs that Kenny Veach is alive. Combing through the area where he was last reported being, rescuers managed to find his cellphone but nothing else. No other signs of Kenny have since been found. Whatever happened to Kenny Veach? There are several stories about the vast deserted land in Nevada. Stories of a vast cave network near the Nellis Air Force base that house aliens and other top governmental secrets. The stories play a big part of Kenny’s disappearances by offering us a paranormal explanation to his disappearance. However these are just stories. Kenny Veach’s disappearance in many ways is strange given his description of the cave and the fact that he vowed to return to explore the cave and never to be seen or heard from again. One can draw a paranormal conclusion from these facts and write a proper X-Files episode. However this isn’t Hollywood. Veach claimed he found a cave that made himself feel uneasy and genuinely scared for his life. His decision to go back and investigate alone was unwise, yet understandable. He felt the safe in the desert. Safe enough to go into it alone. A mistake that probably cost him his life.